Congratulations to N&P! I love it when there is a reason why the couple chooses a type of flower. 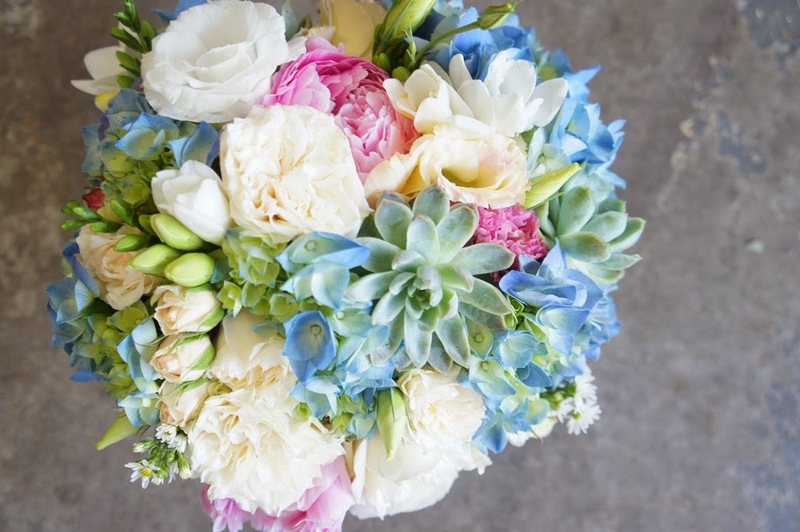 For this wedding, blue hydrangeas reminded the bride of her grandmother. I think that's so beautiful.